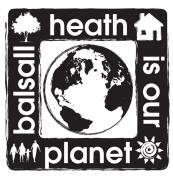 I’m happy to share this article which has been compiled by John Newson from Balsall Heath is Our Planet…. BHIOP is an alliance of organisations and individuals in Balsall Heath, whose aim is to cut the neighbourhood’s carbon dioxide emissions. Our Action Plan identifies Moseley Road Baths as a site of importance for achieving carbon reductions. Moseley Road Baths has the potential to incorporate new technologies in any new refurbishment, with major energy and water savings in its operation. These would produce proportional savings in the running costs of the baths and so assist their financial viability in the long term. 19th century architecture can be saved by modern technology. The Baths currently buy in mains gas and electricity. These are major elements in its running costs. The gas boiler is out of date, inefficient and takes up a lot of space. In the future, there could be a Combined Heat and Power plant that burns gas on site to make steam, which in turn generates electricity. The waste product would be warm water, which can be used to heat the baths and the building. Swimming baths suit CHP plants well, because they require warm water in both summer and winter. By contrast, the current CHP scheme in the Birmingham city centre/Broad St area will be producing warm water in summer when there is almost no demand for space heating. One of these CHP plants is at Aston University whose campus includes the historic Woodcock Street Baths. The parallel with Balsall Heath should be obvious. A CHP plant at Moseley Road Baths could meet the onsite need for electricity. Any surplus can be sold to the national grid, i.e. the baths would be a power station. A report produced in 2008 by Utilicom for the City Council’s Urban Design section concluded that a 70 kw gas-fired CHP plant installed in the Mosley Road Baths, in place of the existing boiler would be technically and economically justified. It would produce electricity for the building at 80% efficiency because the waste heat could be used by the Baths for space heating and hot water. The carbon saving would be 140 tons of C02 per year. It would replace 30% of the heat used by the baths. Electricity generated would be 455 Mwh, or 88% of the current usage of the Baths and Library. If the electricity supply could be linked to the next door Health Centre, then its electricity use would justify a larger CHP plant (100 kw or 40% more output) with a further reduction to the heating cost of the Baths. The position has been transformed by the announcement (July 2010) by the new Coalition government that local authorities can henceforth sell electricity to the national grid and keep the receipts. The whole area could benefit from locally- produced electricity from the Baths, while receipts would offset the cost of running the baths. The Baths were originally provided with their own on-site water supply, in the form of a deep 750 foot bore hole into the water bearing strata below. When this was discontinued, the drinking water supply was unmetered, so zero cost. Today, mains water is metered and has become a significant cost item. Tests have apparently shown the water to have traces of heavy metals – hardly surprising when it has lain stagnant in the pipes for decades. If pumped out, we would surely come to pure water from the deep strata as before. Water for swimming in does not need to be treated to drinking quality – this is wasteful. The water table under Birmingham is rising, due to the closure of manufacturing industries that used to pump water out and discharge it into rivers. Pumping from the borehole under the baths may even help prevent future flooding, as well as leaving water in Severn Trent’s reservoirs for drinking purposes. Discontinuing chlorine would prevent pollution from the waste water into the public drains. It would improve air quality in the baths. This means that less ventilation would be needed, so admitting less cold air in winter. There seems to be evidence that chlorine is associated with childhood asthma and hay fever. Given the great increase in asthma levels noted by children’s services in Balsall Heath, the alternative disinfectant, copper-silver should be used in future. This chlorine free environment could be important selling point in attracting users to the baths.